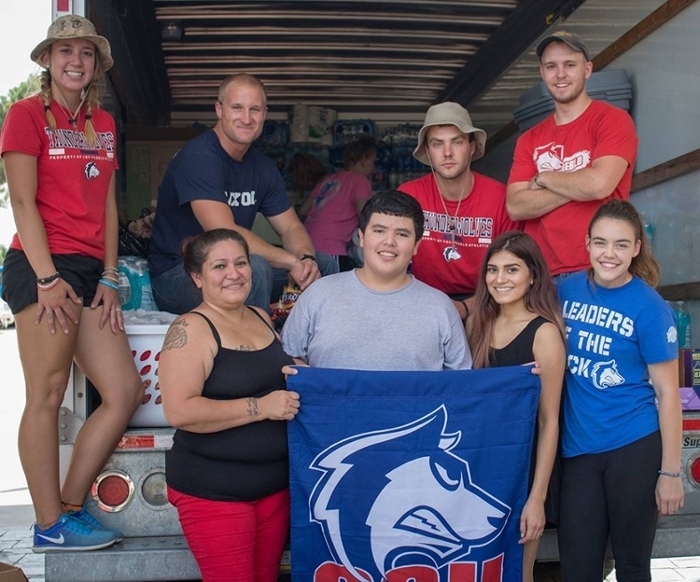 The Associated Students' Government of CSU-Pueblo is dedicated to advocating on behalf of students and their concerns, bridging the gap between faculty, administration, staff, and students. We strive to establish a productive and dynamic learning environment, as we serve as liaisons, coordinators, and leaders between different aspects of our university. It is our mission as representatives for the student body to create a positive collegiate atmosphere that will establish a strong personal and professional foundation to launch students into a successful future. Demonstrate comprehensive understanding of growth in leadership style. Understand the purpose, role, and function of an effective student government. Understand how to collaboratively work with administrators and staff to participate fully in the university governance process. Play a role in university operations and understand shared governance by participation in committees, events, programs, and other functions. Be able to serve as mentors to newer and younger student government members. Engage in thoughtful discussion and dialogue regarding funding priorities, initiatives, programs, and membership. Demonstrate a basic understanding of skills necessary to manage groups, including but not limited to Senate meeting management, member recruitment, retention, motivation, archiving historical documents, budgeting, and effective communication skills. Understand how to efficiently transition to the next group of student government leaders. Learn how to include all students in Associated Students' Government.